Our goal was to give you enough information to understand the possibilities of bombing software and better educate you before making any decisions to use bombing software and what are the best options available should you decided too. On a final note compare for yourself the listed bombers above with the features and flexibility of Pro Bomber we are certain you will also agree that it is simply the best software of its kind available. If you know of any other free SMS bombers or have created one yourself that you would like posted or advertised here feel free to contact us. Not only were they willing to share some information about bombers with us they also gave us a trial run of their Pro Bomber product. The reason we suggested and decided to work with ss on this web site was due to the fact that we could verify that their software was safe, legit, and worked as they claim it does. During our search we did find SMS bombing services on forums that charge a monthly fee to use and that could be verified as legit and safe to use. Our final opinion is if you are going to use bombing software and want all the goodies without worrying about nasty virus infections and malware. The folks at PhantomNet Software sponsored and paid for advertising space not for our opinions or reviews of their product. Also if you have used any of the software on this page and can vouch for it we will gladly add any user reviews submitted to us. Always be cautious when running any software from an unknown or non verified source. Our goal was to give you enough information to understand the possibilities of bombing software and better educate you before making any decisions to use bombing software and what are the best options available should you decided too. Create your website today. Includes a couple features such as custom SMTP server support and save login info feature. Purchase a high quality bombing suite like Pro Bomber or something with similar features in the same price range. Basic SMS bombing only. They appear in no specific order. 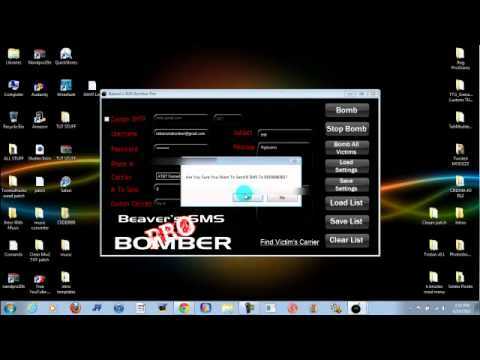 If you know of any other free SMS bombers or have created one yourself that you would like posted or advertised here feel free to contact bombeer. None of the free bombers even came close to having half of the features that it packs into a single program for a very affordable price. Again are first pick would be to purchase the software rather than pay a monthly fee. However ,when attempting to contact the designers of any of the bombing software above we quickly ran into a dead end. Public Released sms bomber — Very basic sms bomber. Another option we would suggest is checking around on hack tool based forums to find a quality verified service you could pay a fee to use. To make this clear we would never accept any type of bribes to alter our opinions about any of the products we have seen and witnessed in action. We enjoyed their product so much we offered them a sponsorship to advertise on our site and they gladly accepted. This site was designed with the. The bombers listed here are available in the wild on the web. On a final note compare for yourself the listed bombers above with the features and flexibility of Pro Bomber we are certain you will also agree that it is simply the best software of its kind available. 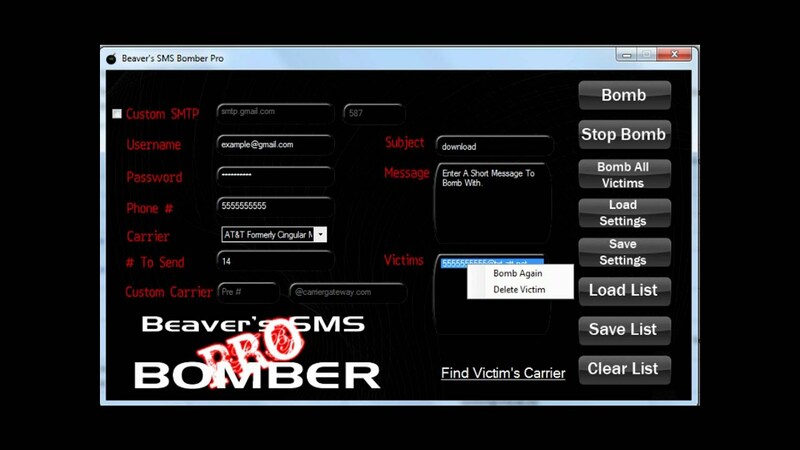 After using Pro Bomber it was apparent that this was the most advanced, full featured bombing software we have yet to come across. Features custom carrier support and saving and loading of current settings. The six free public bombers listed above were the result of the top search returns from underground forums and hack tool sites. We are in no way associated with the development of any of this software and can NOT verify the authenticity of any of the following downloads, download At Own Risk! The only bombing software designers we could get in touch with and were willing to speak with us was PhantomNet Software. We hope that we could shed a little light on cell phone bombing and the software used to pull it off. Features include custom smtp server and sms gateway bwavers and the ability to save and load a victim list.